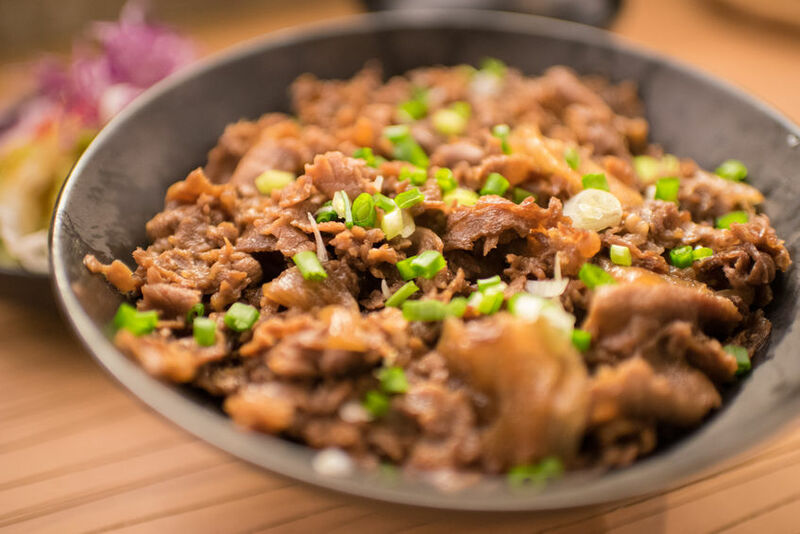 Nurture Japanese Gyudon made with Nurture Ranch Grass Fed Beef Round Roast. 1) Thinly slice raw roast or to assist with slicing freeze 1 hour and then slice. 2) Thinly slice onion and chop green onion. Set aside. 4) Cover with lid and bring the sauce to boil. Add sliced onions and spread them out. Cover to cook until tender. 5) Add beef and cook until brown. 6) Serve the meat and sauce over steamed rice.